NeverSeconds: A Christmas Thank you message! Merry Christmas to you too Martha. This whole story is truly amazing. Was rather disgusted to watch this documentary. You could have just donated the food and been done with it, but of course had to do the whole typical white person thing too - 'oh look at me, rich white girl, centre of attention, how these underprivileged others adore me'. Very disappointed. We were very aware of the issues you raise and spent a lot time discussing them with the staff of Mary's Meals before deciding to travel. The money we spent in travelling to Malawi has far been surpassed in both increased donations and awareness as a direct result of sharing our trip with the BBC and media. It was not an easy decision to make but we feel we made the right decision to travel. I'm glad to see your well thought out and logical defence to an argument that that seemed extremely one sided and aimed at hurting someone rather than helping any sort of goal. I have not seen the documentory but I have donated, and bought your book which is helping a cause I knew nothing about. I think it does not matter whether you are a 'rich white girl', an underprivaleged black boy, a green alien from beta-alpha 6 or just a normal person...what you have done as a family is amazing. You have taught that anyone can help any charity by doing something! You have shown us that children can engage with anything as long as they are supported. You have proven that family relations can be improved by sharing in a childs interest. and you have, more importantly than anything, shown that sometimes pure dumb luck (the council banning Martha's page) can help people the other side of the world more than you can ever imagine. If 2c50560e really wanted to complain their argument would have made sense, as it stands, I'm sickened that people feel they can say these things! Good on you all as a family, and please do not listen to silly people who feel they have a right to criticise those who are doing good in the world! You are doing very "awesome" and fabulous work,at very young age,i really appreciate and admire your every step you done for those malnourished innocent cute childrens,your job really saved many childrens in africa.i really don't have a great word for you work, all that tiny great words are too small in front of your work.Keep it up your work,Your show on BBC World news is really a great after christmas gift for me.I really want to say more flamboyant words for you,so as you can see how big happy and joyful i'm from your job,but i don't want you to bore you,because i thought you've alot work to do. And i can help you, if i can. Happy Christmas to you and your family. It has been an amazing and wonderful year. Thank you for allowing me to be a very small part of it. Loved the BBC update. What a roller coaster you and your family have been on. Marys's Meals and there great work has had a meteoric boost. 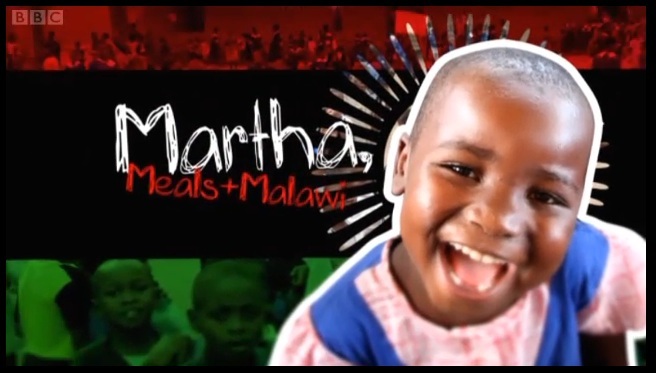 Martha you are such a great and brave girl I have ever known. Your help to the poor children in Malawi will never be forgotten. We at Urunji Child-Care Trust love you so much and wish you the best of blessings. What an awesome read your 'Never Seconds' book is. You have both told your story with so much passion for the plight of others and it is obvious that you are an exceptionally loving & caring family. I'm sure your experience will have inspired so many people to think again about world hunger and be more ready to do what they can to help change the world. Enjoy your break from the media spotlight knowing that so much has been achieved.